A group of three-phase capacitors in TME’s offer has been enriched with MKPg capacitors, by a German manufacturer, ELECTRONICON. Capacitors, made in the MKPg technology, contain neutral insulation gas, i.e. nitrogen. 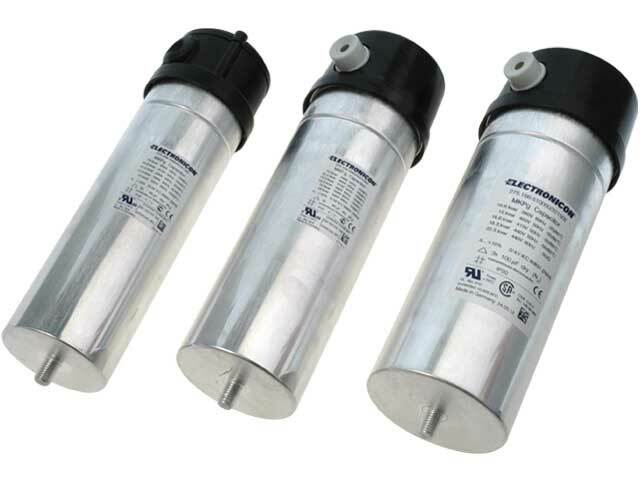 Thanks to that technology, the utilization of used capacitors does not pose any problems, since the gas is not detrimental for the natural environment..
Capacitors offer the opportunity of dielectric self-regeneration and the system protecting against enclosure’s disruption in case of overpressure. Capacitors are equipped with discharge resistors reducing the voltage at terminals to the value below 50V within 50 sec. All capacitors with the operation voltage of up to 660Vrms are UL and CSA certified.